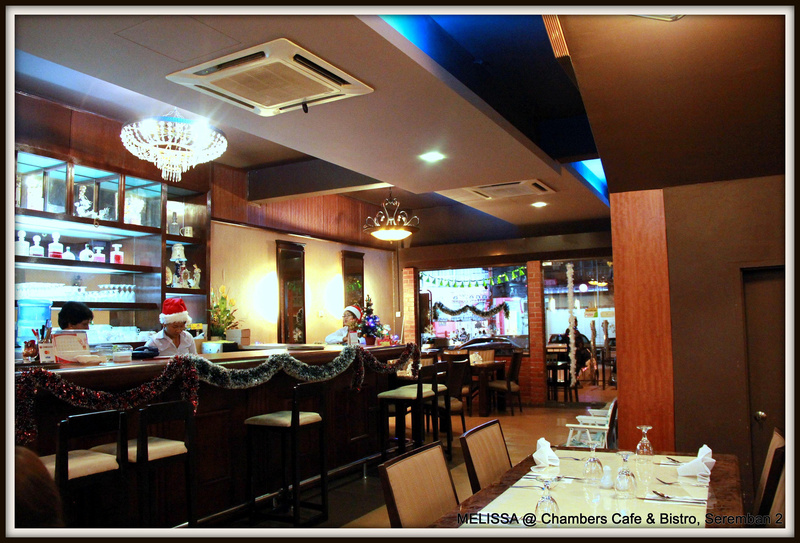 Chambers Cafe & Bistro located Seremban 2, serving not just drinks but also decent Western Food. Well recommended to Seremban 2 folks to get an excellent food here. Though this cafe has been operating for at least 2 years, but this was my first visit. The Interior. Marble top tables with comfy chairs in a cosy environment. 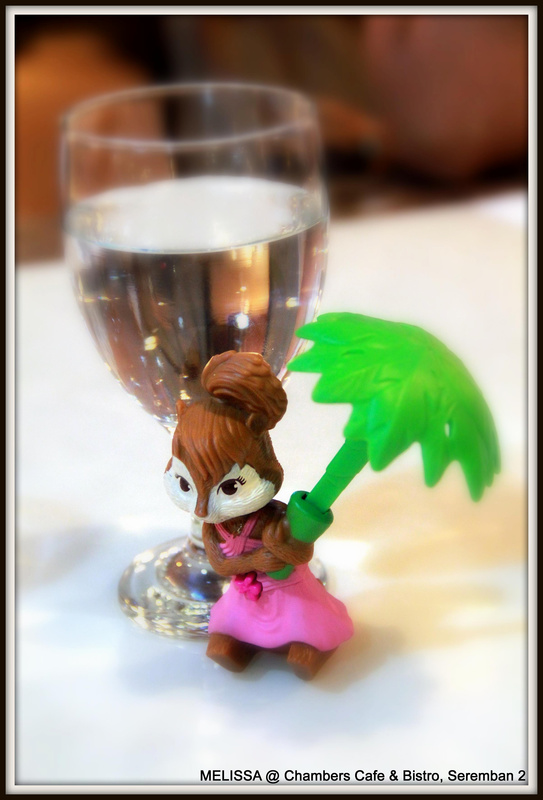 Hehehe….uses Vernice’s toy as ‘keh leh feh’. 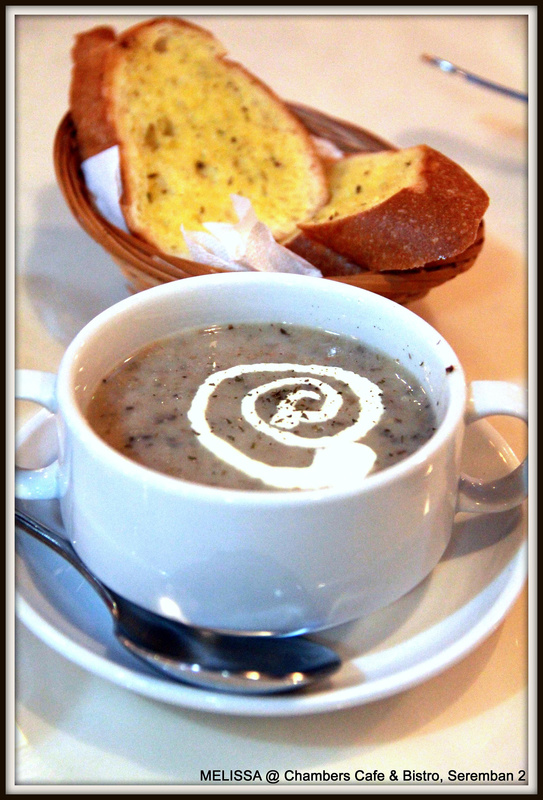 Chunky mushroom bits in creamy broth. Its tasty & delicious. Dislike mushrooms? No worries….Seafood Chowder is another alternative. And its a good choice too! 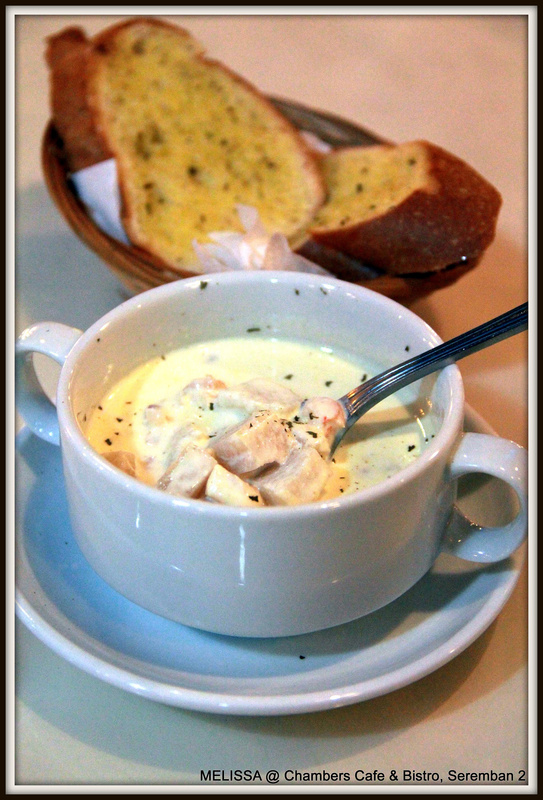 Creamy and smooth soup filled with seafood. Pan fried boneless chicken, the meat was tender and not oily. 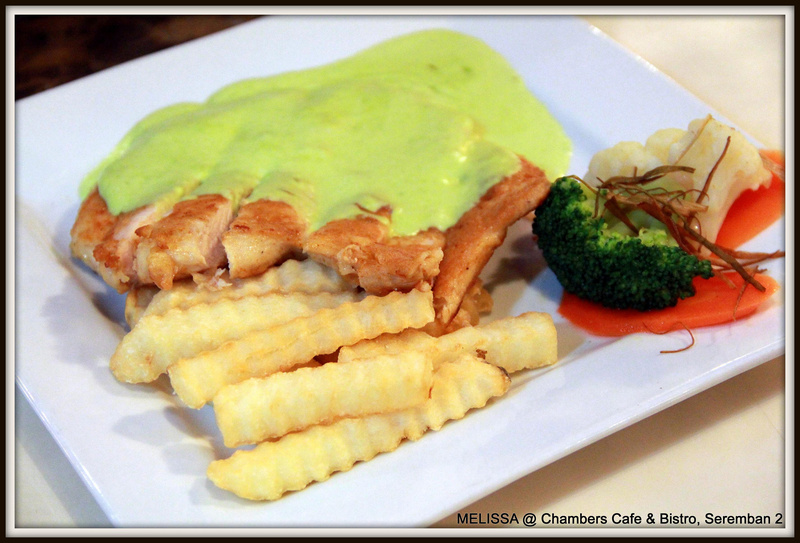 I like the green sauce which is made from green peas. Something special I think. 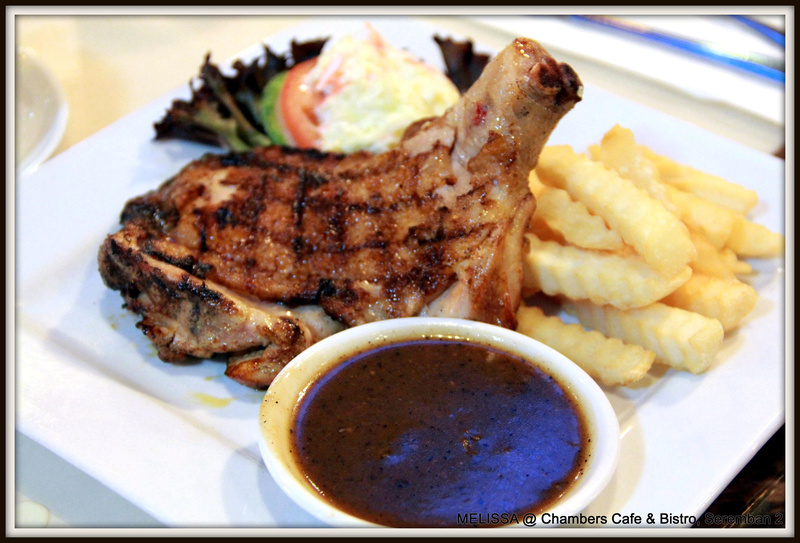 Perfectly grilled with a lil char on the chicken skin yet maintaing the tenderness of its meat. Served perfectly with the black pepper sauce. Chicken stuffed with chicken ham and cheese then deep fried to perfection. 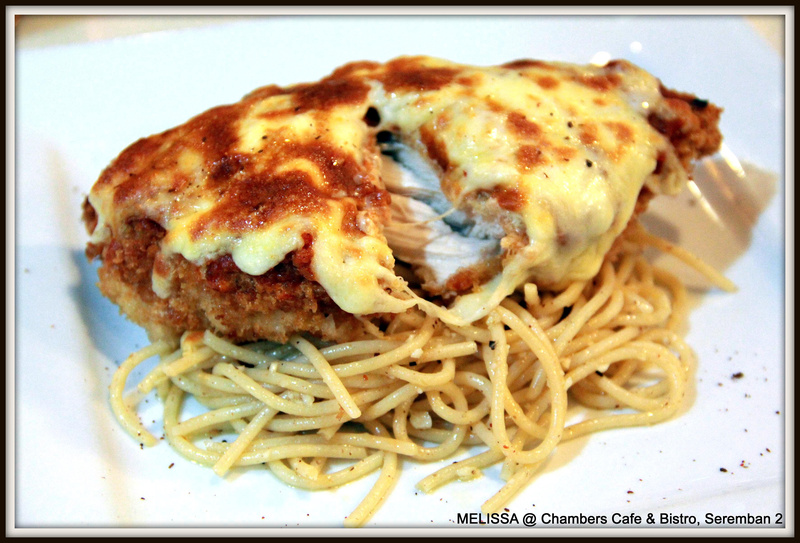 Deep fried chicken topped with mozzarella cheese and baked to perfection. Accompanied with spaghetti in olive oil, garlic & parsley. I like the meat very much. 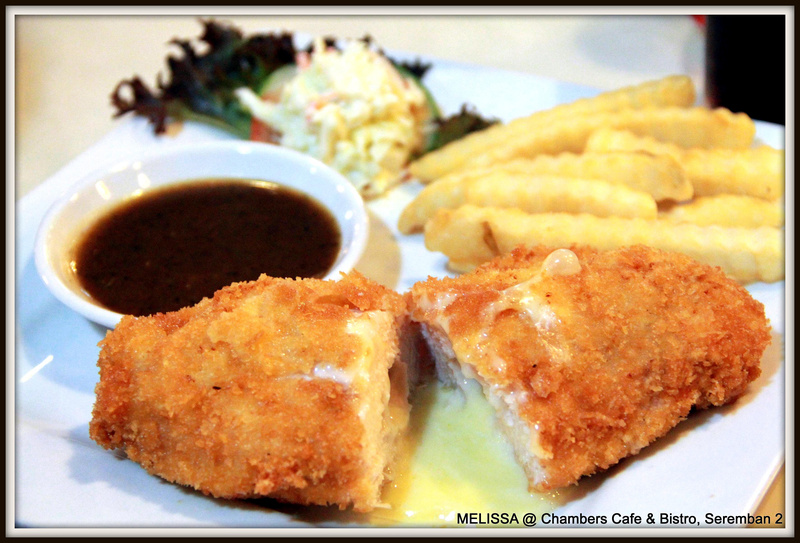 Love the melted cheese on the piece of chicken and its not oily too. However I felt that the spaghetti is a lil dry. 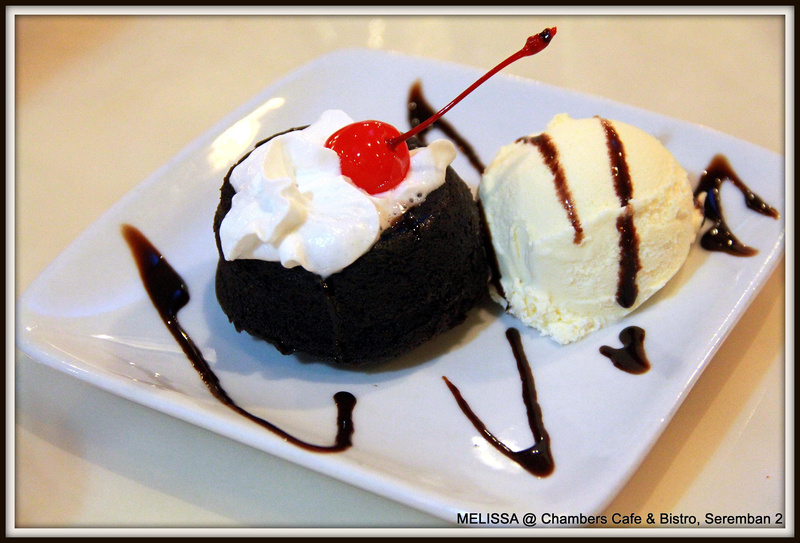 The warm and moist chocolate cake eaten with the icy cold Vanilla ice cream, was wonderful! It will be excellent if there would to have some oozing melted chocolate when I cut through the cake. Green sauce, my 1sttime seeing this! Choi Yen – yalo….first time to me either…. that’s why its special. The photos are wonderful. 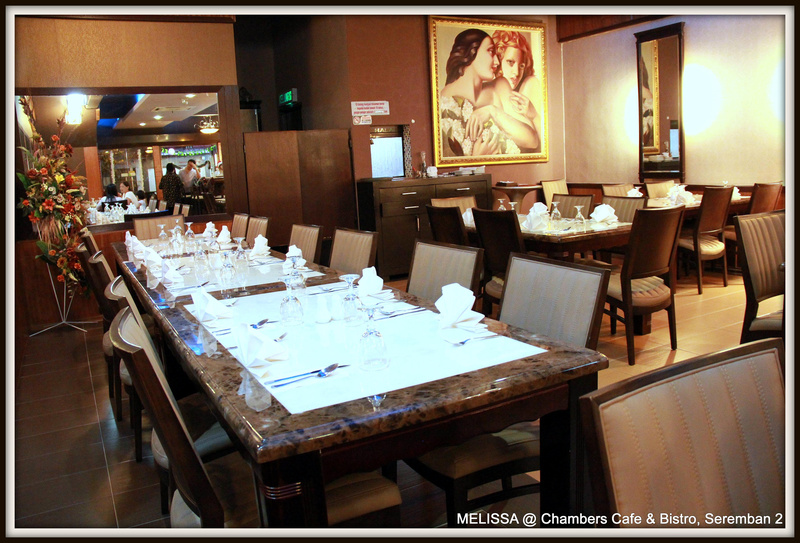 All the food look delicious especially the chicken italiana and the molten chocolate cake! Those would have been my choices.